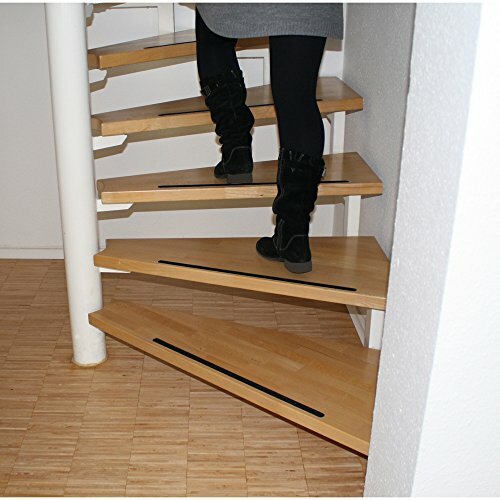 Protect yourself against slipping accidents on your stairs. 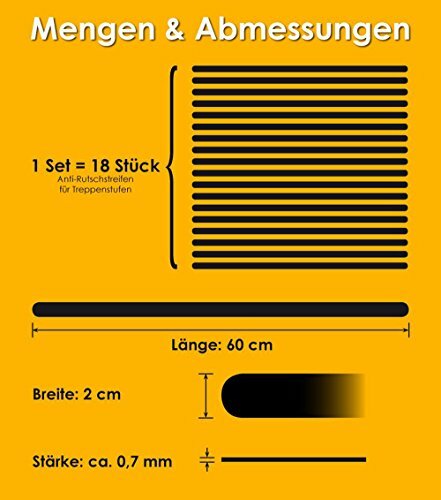 Our non-slip strips in discreet black can be easily and quickly attached thanks to their self-adhesive backing. The surface is grippy without being too noticeable when you tread on it. The subtle grip is achieved thanks to a fine grain surface. 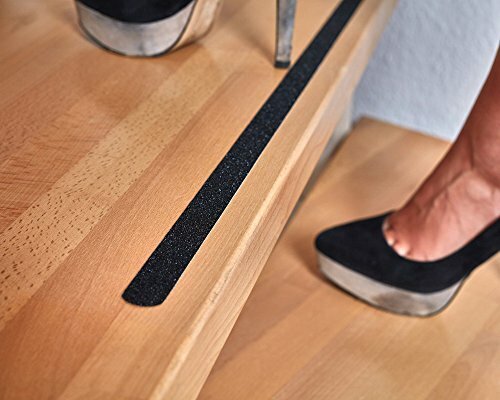 Whether barefoot, in socks or shoes, the anti-slip strips ensure you can go up and down stairs safely. You can attach the strip to the stairs in just a few simple steps. The ends are rounded. That improves their appearance and also prevents the ends coming loose. Our anti-slip strips can be removed again if necessary without leaving any residue behind.